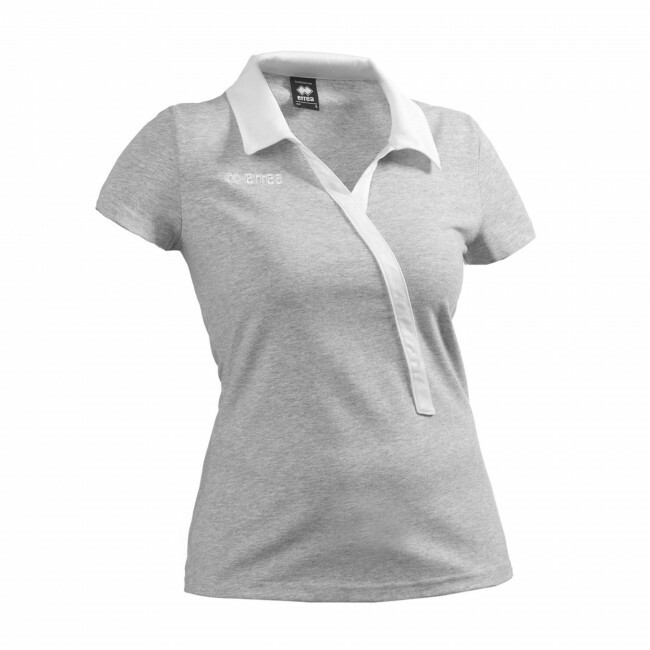 Polo shirt for ladies made of stretch cotton with long contrasting buttonless placket. Hemmed sleeves. Semi-snug fit. Made of 100% cotton fabric, this short-sleeved polo for ladies is perfect to use in your free time: its design is classic yet elegant, and the semi-snug fit that follows the lines of your body provides great freedom of movement. This polo shirt has been conceived to guarantee the best comfort at all times. Because of its polo-shirt collar and the wide V-neck, this shirt is perfect for athletes who wish to dress elegantly even in their free time. The ribbed short-sleeve cuffs provide excellent fit that lasts over time.